What changes can we expect to see in the contact centre market this year? There are few things more important in any business than the conversations you have with your customers. Experts from every vertical agree that if you want to get ahead in today’s hyper-connected world, then you need to make sure that you’re prioritising effective brand-to-consumer communication. In recent years, the “call” centre has evolved from a frustrating environment packed full of desk phones and IVR systems, into an immersive environment where people can connect through voice, video, messaging and more. Now that customer experience is set to overtake product features and price as the main differentiator for businesses next year; it’s safe to say that 2019 is going to be a transformative time for the contact centre. Here’s what I expect to see from the industry in the months to come. Named an industry leader in CCaaS within the 2018 Gartner Magic Quadrant, Five9 has accomplished some incredible things with contact centres as a service. The brand has a fantastic reputation for ease of use and end-to-end reliability, making it an excellent choice for anyone embracing the transformative CCaaS space. As contact centres encounter new technologies like AI, predictive analytics and sentiment analysis, Five9’s CEO Rowan Trollope has a unique opportunity to drive his company forward into a new age of growth. Now that Trollope’s former colleague Jonathan Rosenberg has left Cisco to join Five9 as CTO, the future looks even brighter. Rosenberg has a strong history as a software engineer and was also responsible for co-authoring the crucial Session Initiation Protocol that businesses use today. I believe that Rowan and Jonathan will make for a dynamic duo in 2019. As contact centres continue to search for ways to accomplish more in less time, 2019 is likely to be a time of growth, collaboration, and consolidation. I expect to see new start-ups entering the space with a vision of transforming the customer experience roadmap, along with acquisitions of young SaaS CX-focused vendors that can help traditional contact centre companies evolve. Applications are sure to usher in new opportunities for the contact centre this year, giving developers new ways to customise and transform enterprise software. SaaS start-ups that are capable of offering things like customer analysis and artificial intelligence may be snapped up by communication companies who want to convert their contact centre solution and begin competing from a CCaaS perspective. In 2018, we saw the arrival of a new breed of contact centre with Twilio’s “Flex” platform. This DIY customer engagement solution allows businesses to essentially build their own contact centre strategy from scratch, complete with modular features that they can deploy and customise however they see fit. Flex will give companies a way to add new versatility to the contact centre. However, it remains to be seen whether the system will win over some of the more established players in the space. In the meantime, Twilio’s success as a pioneer and innovator in recent years is sure to inspire other contact centre vendors. As we move into 2019 and developers uncover new opportunities in AI, we may see new types of intelligent customer communication coming to the forefront. After all, AI can help with everything from quality assurance, to speech analytics, and even security thanks to voice biometrics. In November 2018, Avaya announced that Gaurav Passi would be taking over as president of the Avaya Cloud strategy. Passi is taking over from Mercer Rower, who didn’t last long as the SVP in 2018. The industry is left wondering whether Gaurav will deliver on Avaya’s new cloud promise in the years ahead. Passi’s background is enough to inspire positive thoughts. He brings over a decade of experience as an executive in cloud-based technology. Most recently, Gaurav was EVP, Products & Technology at Five9, where he was responsible for the growth, modernisation, and development of the company’s own cloud contact centre. Now, Passi is excited to help Avaya go through their personal cloud transformation, taking advantage of the brand’s potent offerings in UCaaS and CCaaS. 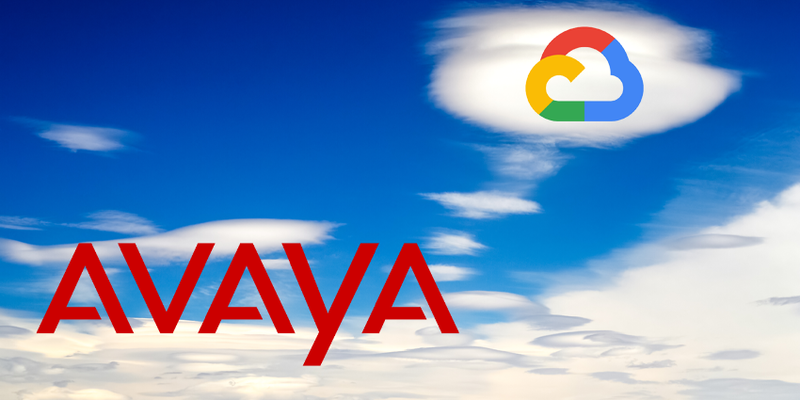 Gaurav plans to make Avaya the “partner of choice” for any business seeking a scalable and dependable cloud communication strategy. Following an impressive showcase at AWS Re: Invent in 2018, I’m excited to see what comes next for Amazon’s contact centre solution, Amazon Connect. This cloud-based self-service contact centre is designed to give companies the tools they need to deliver exceptional customer service for minimal cost. The solution is based on the same contact centre tech used by the customer service associates that Amazon relies on to serve their own clients. Recently, Connect began unveiling new features for their system, including the option for audio streaming. Businesses can stream audio customer phone calls in real-time, allowing for better insights during training sessions. The feature will also let users run their audio through Amazon and third-party apps so that that customer service agents can unlock more real-time AI support. Finally, when artificial intelligence first began to enter the contact centre, there was some concern that bots would eventually take over for human agents. Google has tried to alleviate some of those fears, by introducing their own vision of a contact centre empowered by bots. In 2018, the leading search company launched the Google Contact Center AI, an AI accompaniment to the human customer service space. The AI contact centre is designed to complement your existing employees, by handling the initial stages of call handling, before assigning conversations to the agents most equipped to manage them. With Google’s Dialogflow technology at the helm, the Contact Centre AI from Google will also allow businesses to add natural speech to their IVR platforms to replace the often-robotic automated experiences that we’re used to. We can expect to see more from this area in 2019, as more integrators and partners get involved with the platform. What do you think of my predictions for the contact centre in 2019? Have I missed anything important? Let me know in the comment section!